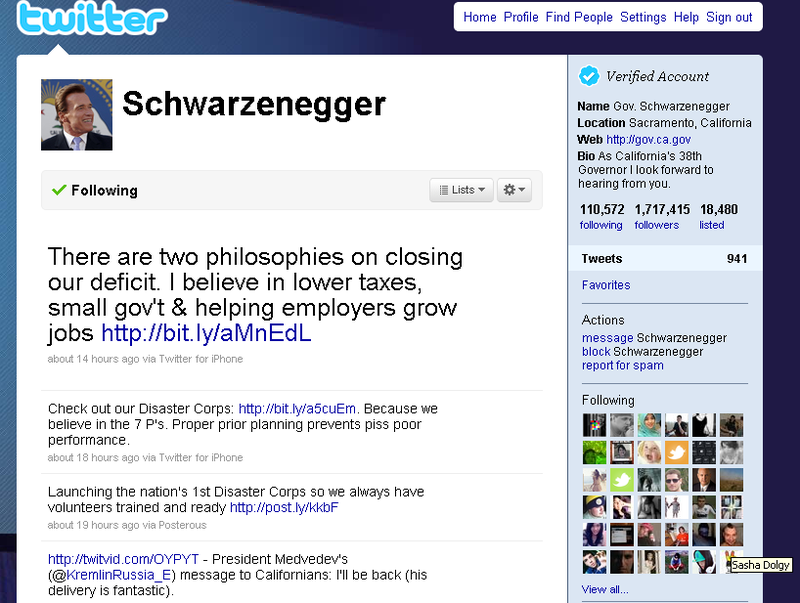 my random thoughts that are more than 140 characters: Followed by the Governator. 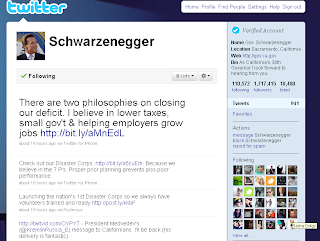 Imagine my surprise when I received an email that the governator of california, Arnold Schwarzenegger, was now following me, @sdolgy, on twitter. weird man. a day out in the dust!